Crater Lake National park is the deepest lake in the United States and is considered to be crystal clear and clean body of water in the world. The deep blue color of the lake is amazing and keeps you mesmerized especially a treat for photographers. I’ve visited Crater lake three times in the past and did not get a chance to write a blog about this beautiful lake. We’ve always enjoyed visiting the lake and get immersed into the beauty of this lake every time we visited. On our fourth trip to the lake, we wanted to hike down the lake and get a closer look of the lake via boat tours. 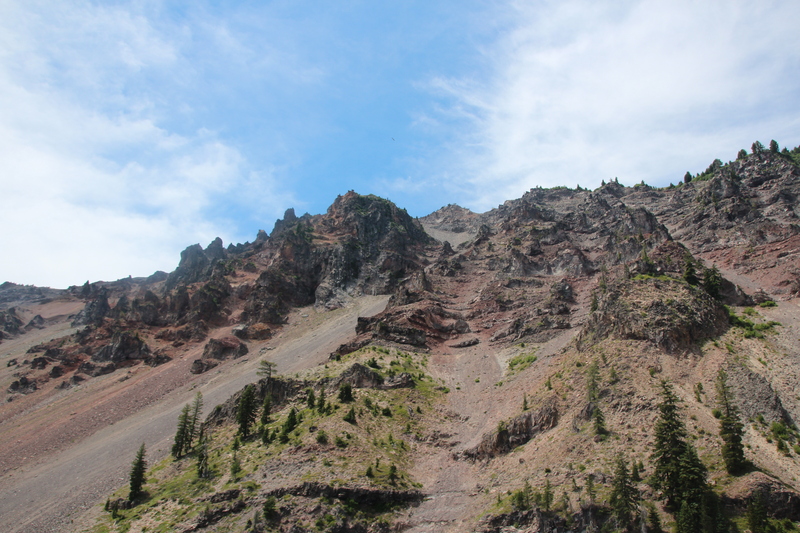 A massive volcanic eruption ~7500 years ago left a deep basin in the place where Mount Mazama once existed. 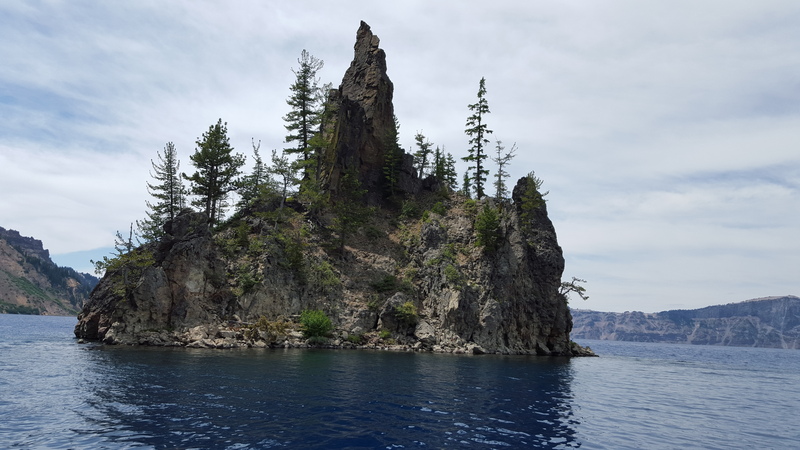 During our boat tour we learnt about the history of Mount Mazama’s eruption and how the 12,000 foot tall mountain collapsed during the major eruption. Rain and snow filled the basin for several years that formed the beautiful blue lake. The lake is blue in color because blue wavelengths are scattered and visible to the human eye versus rest of the colors of the spectrum are absorbed. The depth of the lake is around 1940 feet and researchers continue to investigate the fauna, flora and other small species living inside the lake. 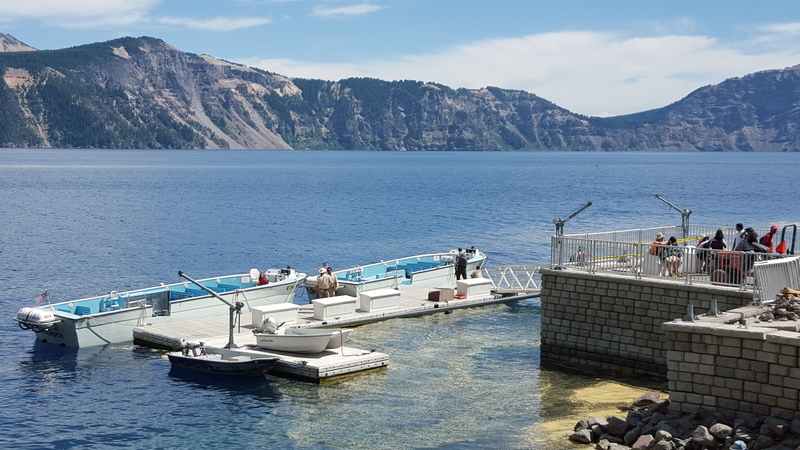 There are very limited options available inside the Crater lake park and is not available most of the times. Advance reservations are available that gets sold out pretty quickly. Crater Lake lodge and Cabins at Mazama Village are the only two lodging facilities inside the park. Roseburg city in Oregon is the next closest option which is a 2 hour drive to the Crater Lake. This city has many lodging options and has good number of dining options as well. Roseburg is also famous for the Wild Life Safari park that you can cover during your visit to the Crater Lake. There are plenty of things available for everyone inside the park. 5. 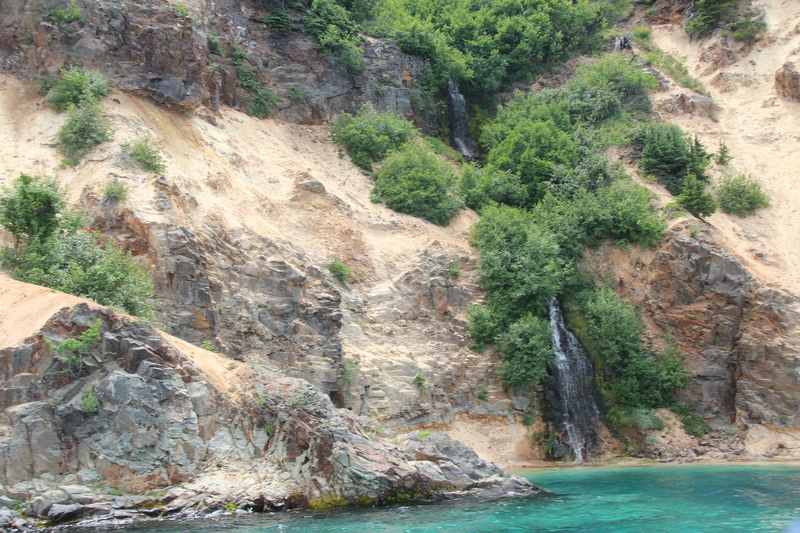 Vidae Falls – beautiful cascading waterfalls and we got to experience the closer looks of this falls on our boat tour. 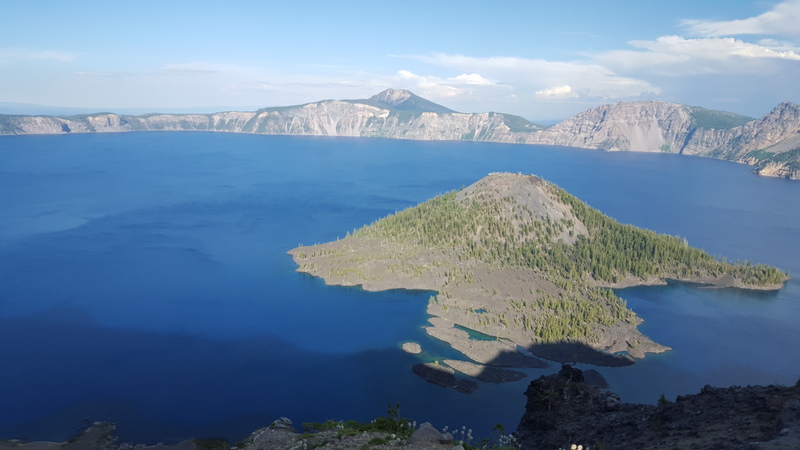 There are several hiking trails inside the Crater Lake park and you can choose the ones that suits your family. You will find trails ranging as small as 0.5 miles to ~10 miles. When you enter the park’s entrance they provide you a map along with all the trail information. 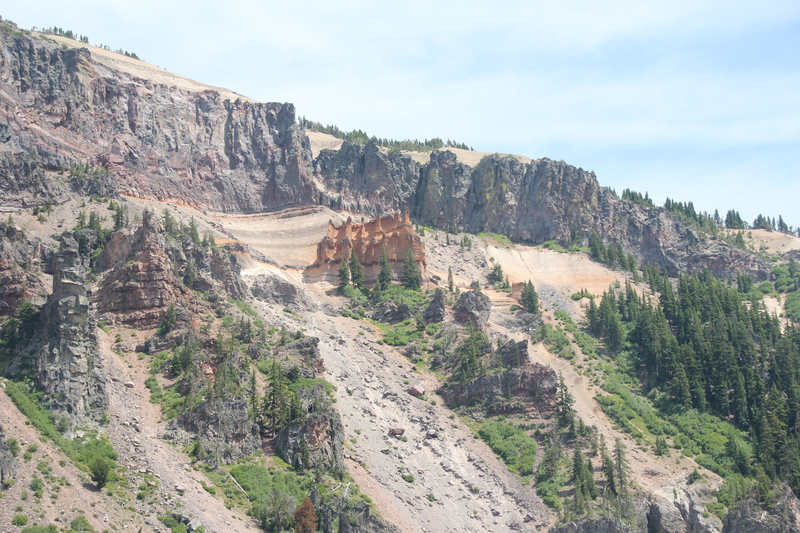 The Cleetwood cove trail is the only official access to the shore of the Crater Lake. The hike to the trails is very steep and strenuous dropping to 700 feet elevation. The trail is only 2.2 miles roundtrip but the 700 feet elevation and steep grade makes it extremely difficult. Due to the elevation nature it’s easy to climb down the trail but walking back is the most toughest part and they compare it equivalent to climbing 70 flights of stairs. If you are doing boat tour, this is the only access to get to the boat dock. I did some research before attempting this trail where many suggested that trail is not recommended for people not good in physical condition, heart or breathing problems. Since we had done many hikes in the northwest region, we took a risk to climb this trail with my 65 year old Mom and 12 year old son. On the day of our hike we were prepared with water bottles and headed down the trail. As suggested in forums, it was very easy to climb down and my mother did at her own pace. The trail is well maintained and has good number of benches that you can leverage and so much useful when you walk back the top. As you climb down, don’t forget to enjoy the picturesque lake and breathtaking views. If you are taking the boat tour, please be prepared to start the hike atleast an hour before the tour starts. 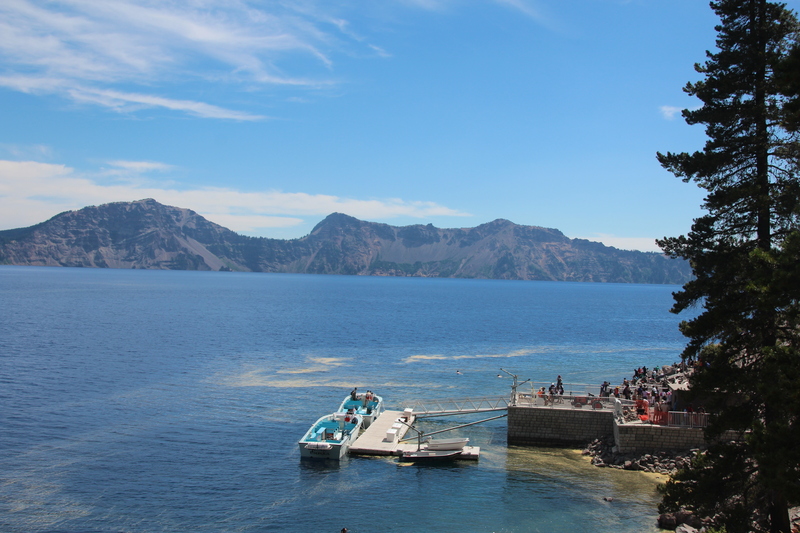 There are standard boat tours for a 2 hour cruise around the Crater Lake. They are ranger operated tours and the boat goes around the entire lake and they do not stop at Wizard Island. If you are interested to get down in Wizard island and hike inside, you’ll need to book the Wizard Island Tours that are 5 hours long. This tour includes standard tour and a 3 hour stay on the island. In this tour you can disembark to hike the island and spend some time in the island. We personally did not choose the Wizard island due to the 5 hour duration plus our group had mixed age groups and difficulty to hike 3 hours in Wizard island. The boat tours need to be booked in advance either through their website or via phone. The price range for standard tour is 40$ for Adult and 27$ for children until 12 years old. 3 Responses to "Crater Lake"
Wow.. what a beautiful lake..! Thanks Param and Arun !